New Zealand has some unique and endangered fish called galaxiids... and our mission is to explore the controversy surrounding these amazing animals. This website maps out the diverse issues and individuals/organisations that influence their fate. Why is New Zealand's native freshwater fauna so special? Do we know enough about galaxids to protect them? Should trout be considered a pest species? Who should be responsible for the conservation of NZ's native fish? Follow an exciting day of the Department of Conservation's ranger, Lan Pham, as she presents unique New Zealand's fish to kids and farmers of Otago. Click here to learn more about the Growing Otago Galaxiids project. Galaxiids are small fish that live in many of the streams of New Zealand. Before the arrival of man, these secretive fish ruled the fresh waters. When European settlers came they brought along fish that were familiar to them; they introduced trout into many rivers and lakes. Galaxiids soon had to compete with trout for food and territory. They were also easy prey for trout to eat. Trout have been spreading for more than a century now (both naturally and through stocking) and galaxiids are now confined to relatively few small streams which are less habitable for trout. Thankfully, galaxiids are hardy little fish that can adapt to changing environmental conditions, so they survive in marginal places. Nevertheless, these unique animals are very much under threat to being outcompeted, as trout continue to spread into new streams and land use destroys more freshwater habitat. 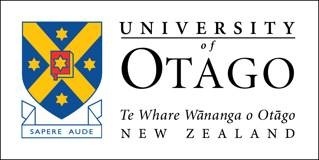 This website is part of Olga Khomenko's masters work with the European Master in Applied Ecology (EMAE) and Centre for Science Communication (Dr Jenny Rock), University of Otago, Dunedin, New Zealand.